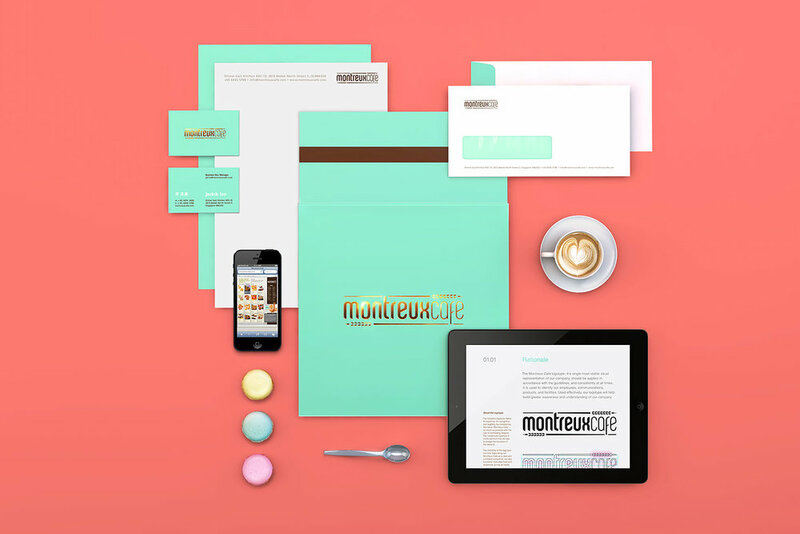 Identity development for Montreux Café, including an improved logo design for the rebrand, a set of brand colors and typography, as well as designing the online pastry shop. 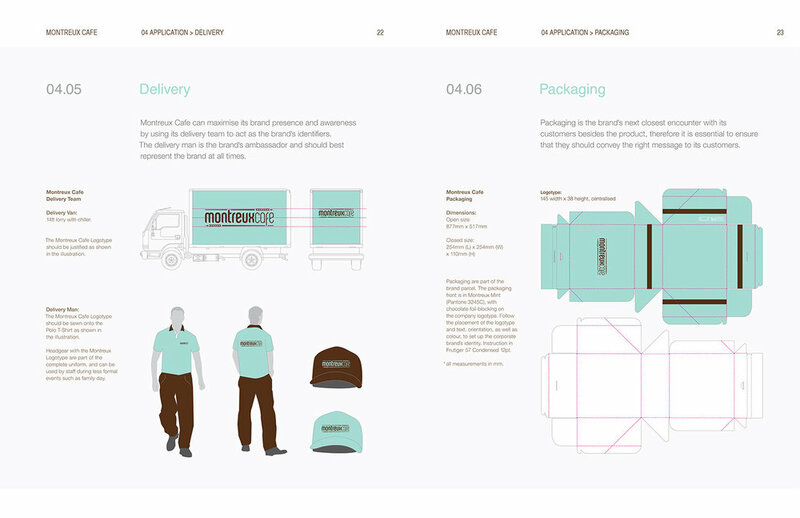 When we met Montreux Café, they gave us a challenging task of transforming their physical café into a fully online pastry shop. To help bridge the transition of the rebrand, we’ve used a similar looking typeface, as well as keeping elements like the wheat symbol (requested by the client for Feng Shui reasons), that was used to subtly frame the word mark. 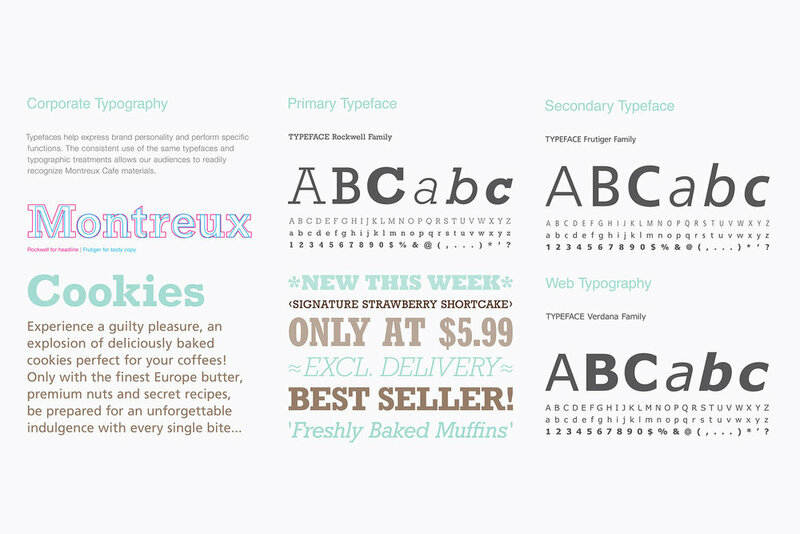 By varying the weight of the condensed typeface, we are able to compact the word mark and maximize legibility. Our challenge was to increase brand awareness, for a brand that has gone digital as their shopfront, by improving on the logo and incorporating a set of brand colors." For the online shop, users will be able to rate, like and comment on the pastries, or share their recipes on Facebook. The site acts as a corporate website with a shopping cart integration. Considering the users’ order history, the system would be able to recommend new and similar pastries to the consumers. 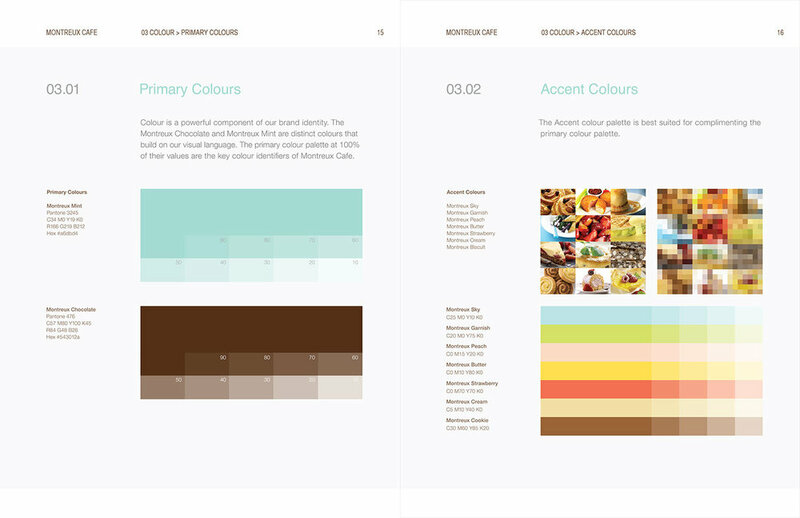 The comprehensive product gallery could be sorted by categories, alphabetical order, most viewed, and best sellers.